Is it time that the ICC intervenes to redeem West Indies Cricket? With people in the Caribbean repulsed by the consistently deteriorating performances from a shambolic West Indies outfit, the International Cricket Council (ICC) needs to step in and reinvigorate a major draw-card. A composite of tiny islands that laid down the gauntlet and demolished every opponent in sight to establish one of sport’s greatest streaks during the 80s now evokes constant ridicule and disdain. The team which went through a staggering 31 Test series without being conquered from April 1980 to March 1995 is struggling to compete for the full length of a Test match. Will the massacre in Hobart at the hands of a raw Australian side signal the ICC to finally get involved and ensure that the cricket world does not miss out on a region which is a part of the sport’s folklore? A narrow stretch of populace which has given the game some of the most memorable entertainers such as Gary Sobers, Viv Richards, Brian Lara and, of course, the battalion of fearsome fast bowlers does not deserve to be relegated to the lower echelons of cricket. The likes of Wes Hall, Michael Holding, Andy Roberts and Curtly Ambrose must be seething with agony as a legacy that they painstakingly built is now being shattered to smithereens. Ambrose in his capacity as the bowling coach even attempted to spice up the contest by proclaiming that his wards could defy the insurmountable odds and defeat the Australians. However, what unfolded in Hobart was a combination of inept batting and disinterested outlook which meant that Steve Smith’s inexperienced team inflicted an innings defeat upon the visitors. The three-day drubbing exemplified the malaise surrounding West Indies cricket. The West Indies Cricket Board (WICB) is riddled with several unsolved issues. Amidst severe inter-island rivalry, Dave Cameron is struggling to exercise caution and handle disputes between different factions within the board. Richard Pybus, the Director of Cricket has been rendered toothless by the recurring conflicts between the players’ associations and notable senior cricketers. Even though the venerated Clive Lloyd is in charge of selecting the squad, he is unable to receive the support of his players whose interests have turned towards the shortest format of cricket and its accompanying riches. Several suggestions have flown in from cricket experts across the world to help overturn a floundering setup. Some have even openly admitted that the only solution lies in disbanding the West Indies entity by splitting the team into its constituent countries. While there may be merit to the thought of resorting to such an extreme step, the alternative deliberation of condensing an already diminishing talent pool by letting each island compete under its own national flag is certainly precarious. Instead, the ICC could stabilise the muddle by resolving the pressing worries and replenishing the coffers of the WICB which should guarantee better monetary benefits for the beleaguered cricketers. The primary reason for the big names such as Chris Gayle, Kieron Pollard and Dwayne Bravo missing out on Test cricket and indulging themselves in franchise cricket in multiple countries is the burgeoning money on offer. The decision of cricket’s apex body to furnish more money to the cash-stripped WICB could also allow the much-derided organisation to invest accordingly at the grassroots level. Consequently, young people in the Caribbean will gravitate back to cricket instead of opting for alternate sports such as athletics and basketball. It is extremely vital to attract the next generation of the flamboyant islanders and make them aware of the rich heritage of their ancestors. ICC’s move will also solve the perennial dilemma of an upcoming Caribbean cricketer who is confused in pledging his allegiance towards the right direction. At the present moment, young batsmen like Darren Bravo, Shai Hope and Jermaine Blackwood are nonplussed in improving their techniques and shouldering the team’s burden. While the pace bowling stocks comprising of Kemar Roach, Jerome Taylor and Shannon Gabriel look reasonably promising, an almost non-existent batting lineup is the major reason behind their continuously lackluster showing. Since the turn of the millennium, the West Indies have played 71 away Tests (excluding matches versus Bangladesh and Zimbabwe) and managed to win only 2 of those tussles. Recently, the West Indies became the first major team to miss out on a Champions Trophy berth after falling to number 9 in the ODI rankings. With ICC shifting their focus towards helping more associate nations to qualify directly for the forthcoming editions of the World Cup, they could even find themselves out of the reckoning for cricket’s showpiece event. 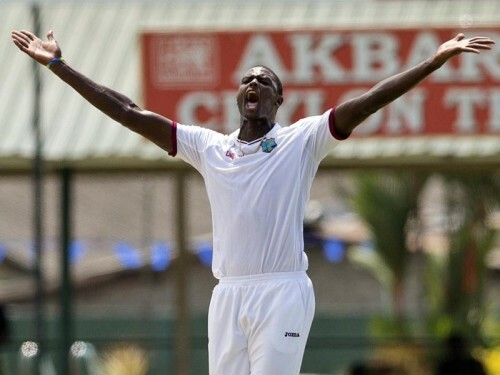 Even as a massive responsibility is straddled on the brooding Jason Holder to improve a woeful record, the 24-year-old skipper definitely needs all the help and support that he can obtain from the game’s governing body if the sleeping giants are to reawaken from what has been a really long slumber.